I made a conscious decision at the start of 2017 to move more. As many of you will already know, I have Fibromyalgia and this affects many aspects of my life. The sort of exercise that is recommended to people like me is graded exercise and I've decided to seriously get going with my training. When Nike contacted me to collaborate with them on the launch of their Black & White Collection it was the push I needed to get me started. I recently joined my local gym in Leytonstone and thankfully now that Nike have items for everyone in your crew; there is no excuses not to get moving. The Black & White Collection includes pieces for everyone. 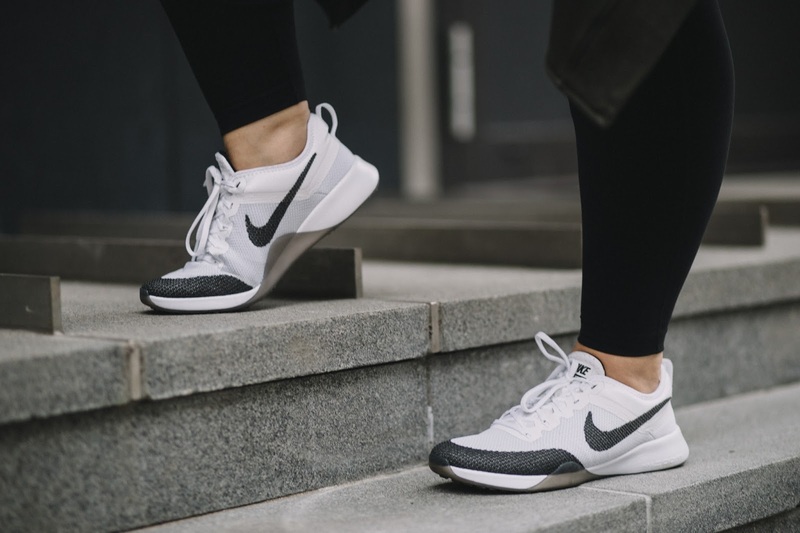 Whether you're a runner, you're into training or you simply love Nike's lifestyle garments; all bases are covered! I plan on mixing and matching items from all of their ranges and adding my personal *Danie Pizazz* to all of my looks. I make such an effort with my day to day dressing, why should that stop at my work out gear? 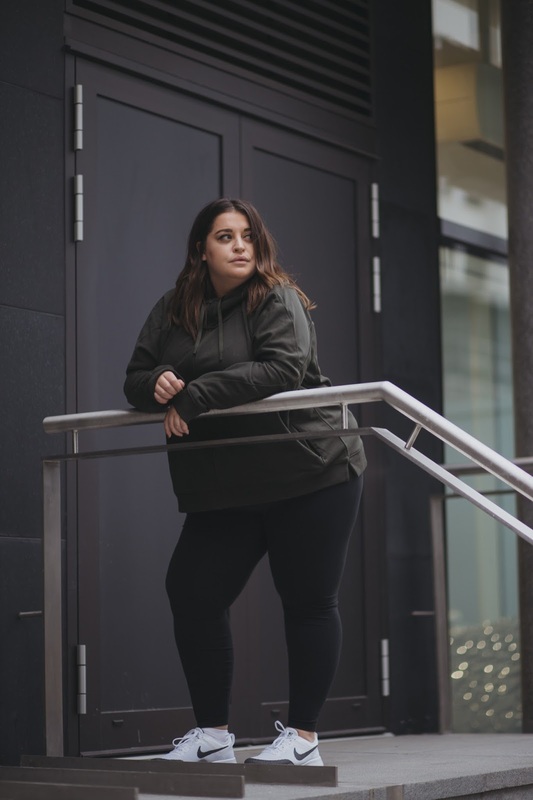 The thing I am most happy about is the fact Nike now have a plus size range (sizes XL-3XL) and I wanted to show you some of the items available in their Training category. 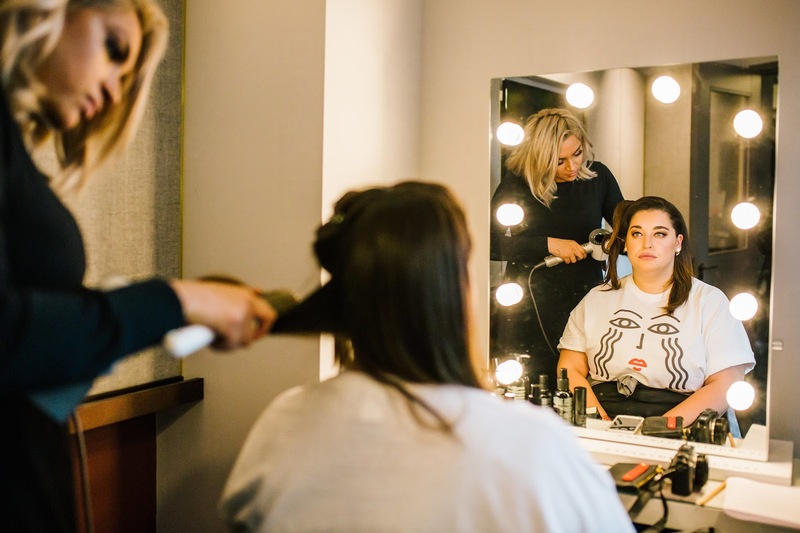 It's one thing to see the garments on a model, on the site but what better way to see if they'll work for you; than showing you how they look. 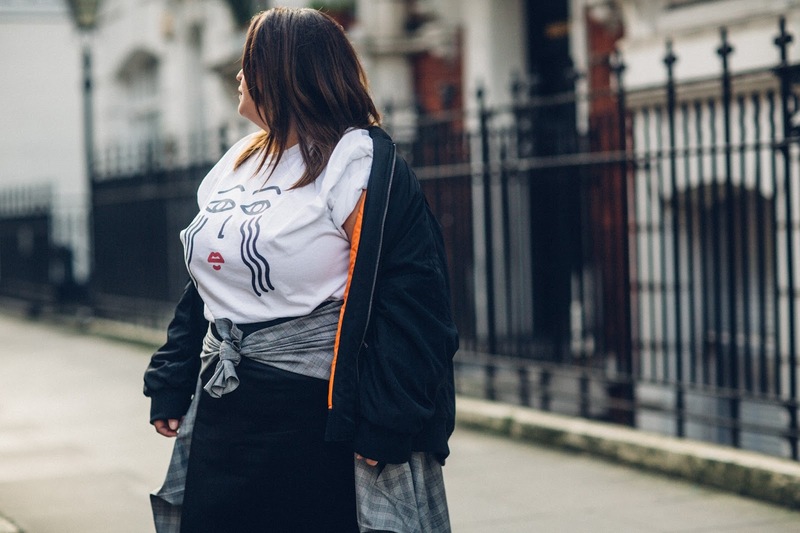 Here's a breakdown of what I'm wearing, the sizes I picked and why I like each piece. 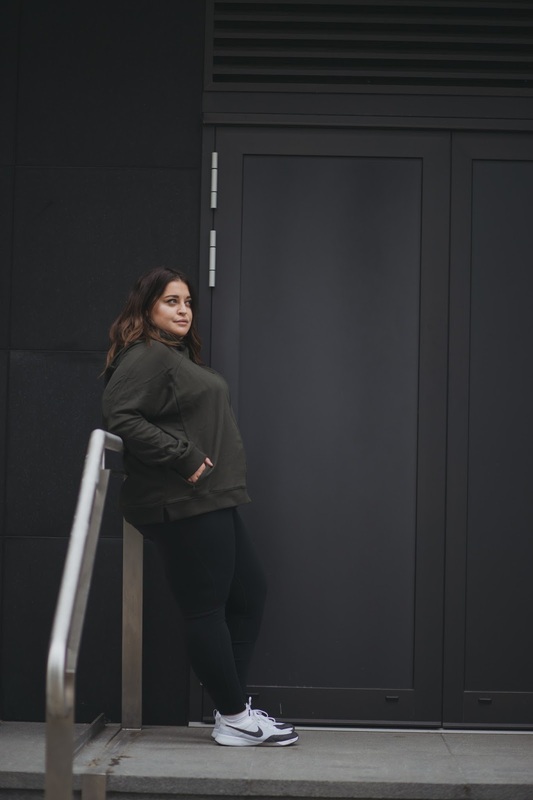 Nike Power Legendary Mid Rise Tights (plus size, size 3X) - Although these tights are described as 'mid rise' I absolutely love how high you can pull them up. The tight, soft material holds you in place and their Dri-FIT technology means you're gunna stay dry and therefore more comfortable whilst training. I could have sized down in these for an even tighter fit. Nike Breathe Women's Training Top (plus size, size 3X) - This is a seriously cool top. 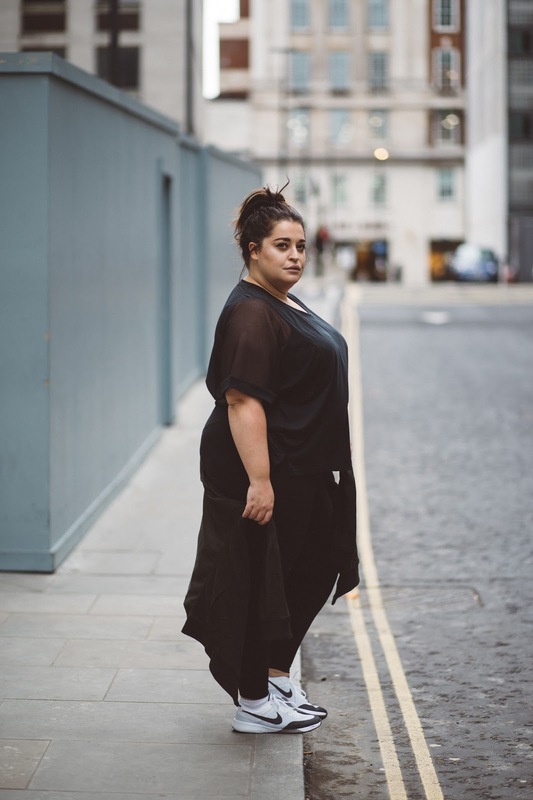 I am really chuffed to see brands like Nike giving us bigger girls the chance to wear trendy work out gear. I chose the all black colour way but it comes in grey/black & white and I'm seriously digging the boxy, fit of this mesh top. Nike Dry Versa Training Jacket (plus size, size 3X) Great colour, check. Pockets for all my things, check, loose enough to layer under or over items, check! I love the mesh back panel and I will definitely be wearing this for training as well as chilling out at home! Nike Air Zoom Dynamic Training Shoe - These babies are super comfy. Cushioned for comfort as well as having a mesh body for improved breathability. * This post is written in collaboration with Nike but as ever; all opinions and words are my own. I have used Affiliate links within this post. The madness of London Fashion Week descended onto central London for another season and as ever; I was so happy to be part of it. 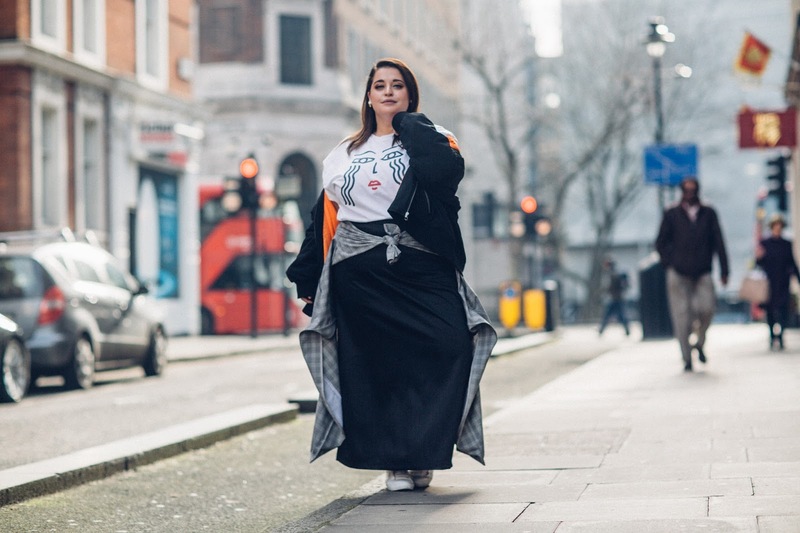 For Day 1 of LFW I collaborated with my faves over at Simply Be and took control of their Instagram page. 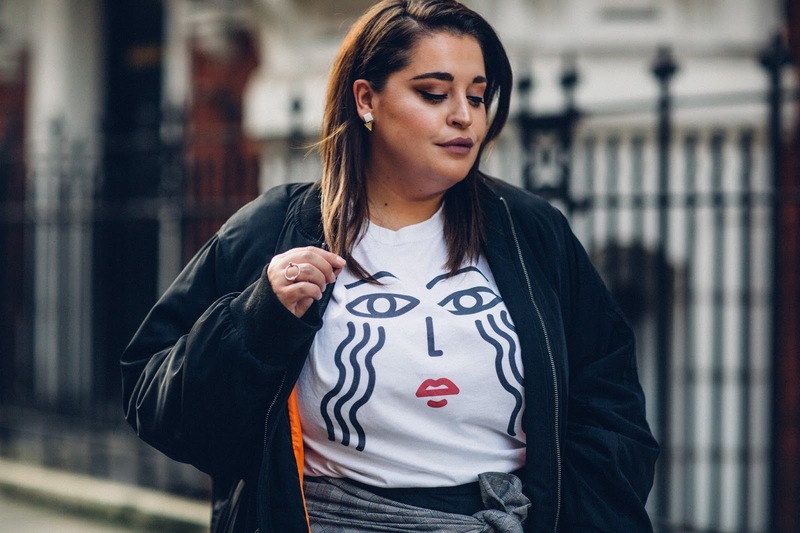 I love that plus size brands are now getting more involved with the hottest fashion event of the year and it's always a pleasure to show readers what's happening in LFW each season. Everyone loves a trainer right?... Wrong! 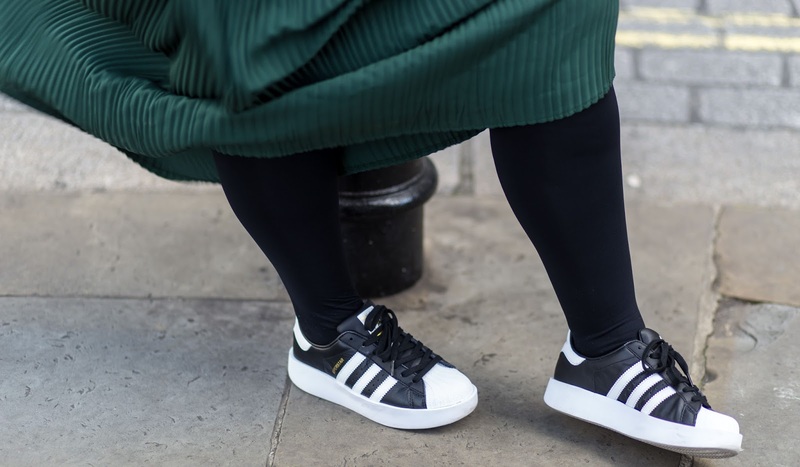 I didn't wear trainers for years and years because I didn't think any would be suitable for my chunky "pork chop feet" (My Dads loving nickname for me haha). I wear standard trainers for sport but always steered clear of fashion trainers. 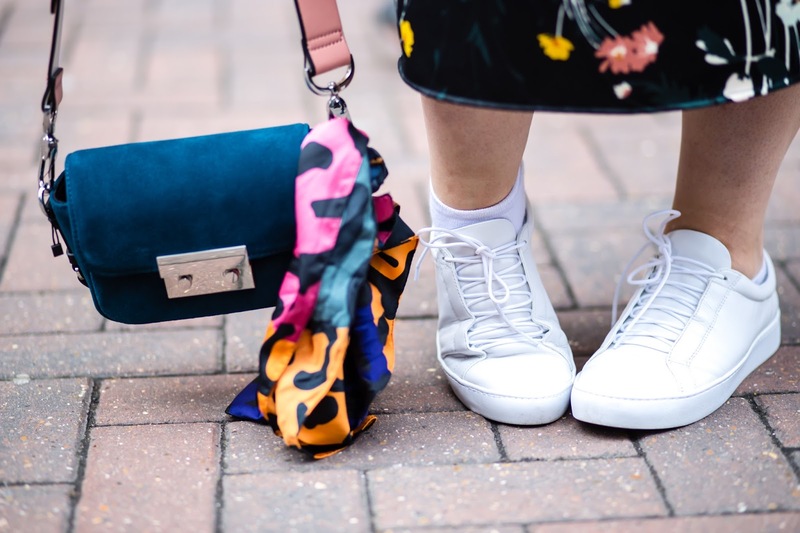 Fast forward to 2017 and whilst writing this post, I am lovingly looking over at my growing trainer collection and I can't believe I ignored this style of shoe for so long. Now, my feet aren't massively wide but they are wider than average and I either wear a size 5 or a 6. 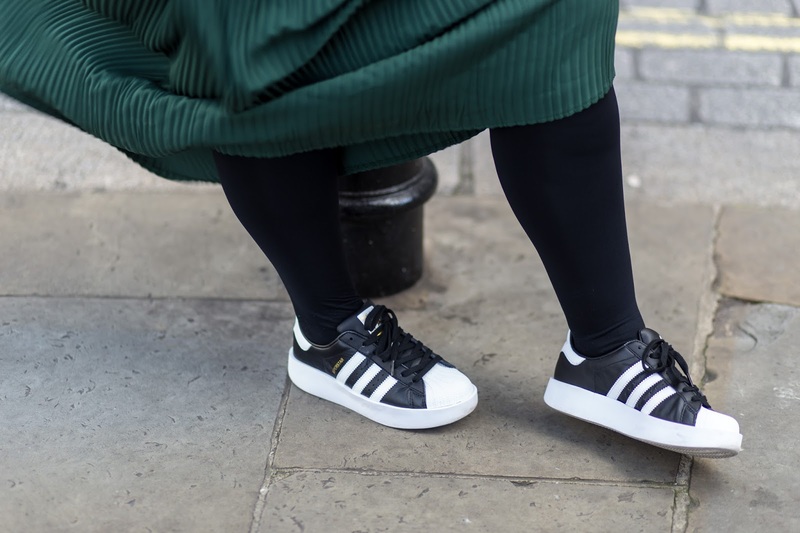 I find that I pretty much always buy shoes from the wide fit section (New Look, Asos, River Island being my faves) but the below non-wide fit trainers and flats also work perfectly for me and I thought I'd share as I know a lot of you also have chunky paws. I LOVE Vagabond shoes and have a vast amount of boots, flats and trainers from this Swedish shoe brand. If you haven't, give Vagabonds a try; I think you'll be suitably impressed. 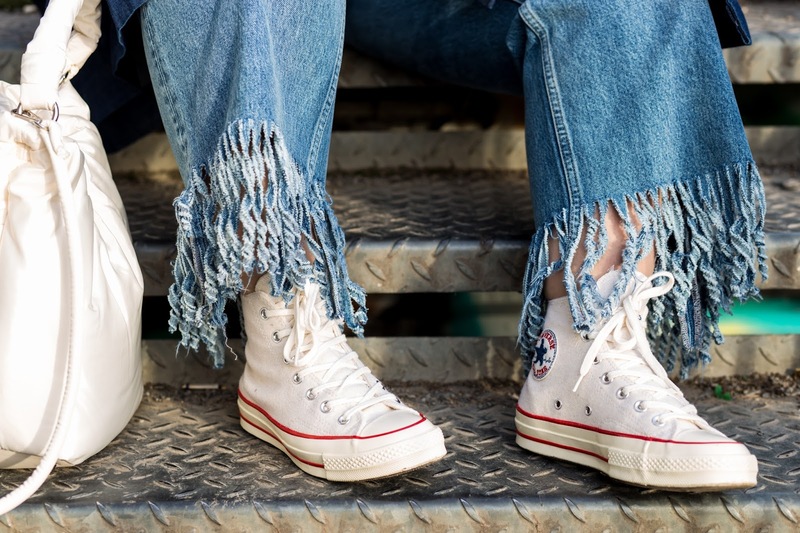 These are sooooooo comfy and I know a few guys and gals with wide fit who love this style. 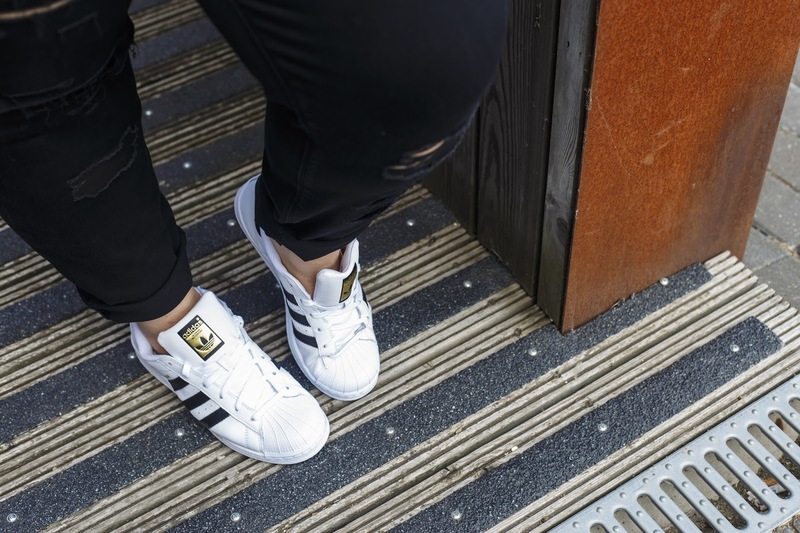 Try the classics or one of their newest styles like the 'Adidas Superstar Bold' (shown in the top photo) and let me know what you think. Now this really surprised me as I'd always imagined Converse to be very narrow fitting but they are so roomy! I've had to size down in my pair of Cons and I have plenty of room still. I am 30 and I'd never owned any before, now I've got 3 pairs and counting... oops! Back to Adidas with these but I am fast becoming an Adidas girl and even though I've started off with the classic styles; I'll definitely be trying the newer styles in the future. 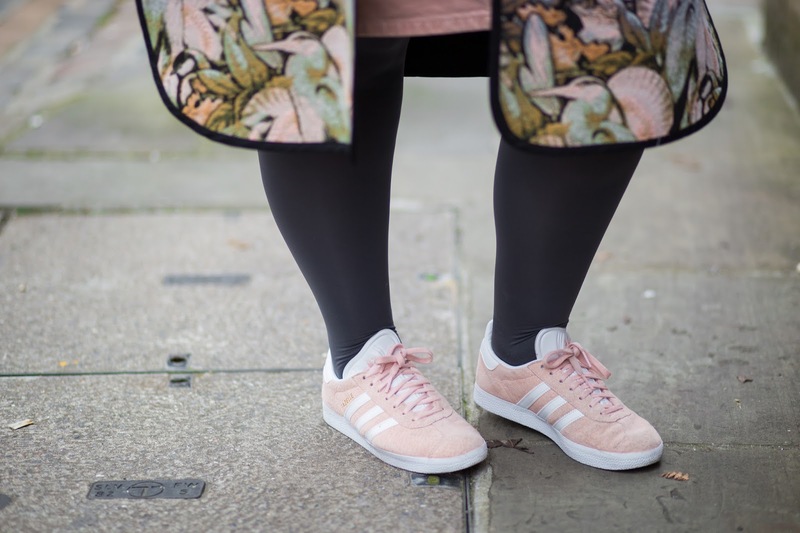 The Gazelles come up slightly smaller than the Superstars but they are still just as comfy. Are there any non-wide fit trainers that you love and you think I should check out? Let me know in the comments below! Each week I post outfits that feature new as well as previously worn items. 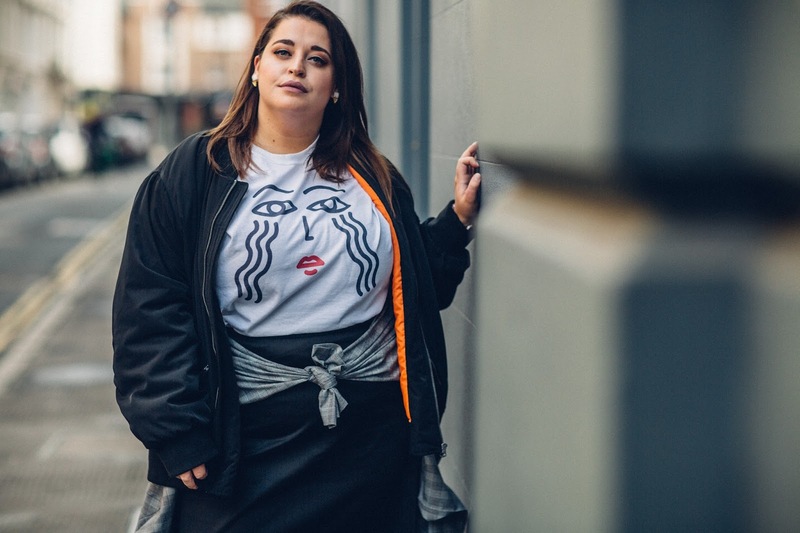 As much as I love showcasing whats 'New In', I also wear my clothes numerous/hundreds of times, I wear second hand items and vintage treasures and if you're anything like me; you have a few outfits you love wearing, in rotation at any one time. 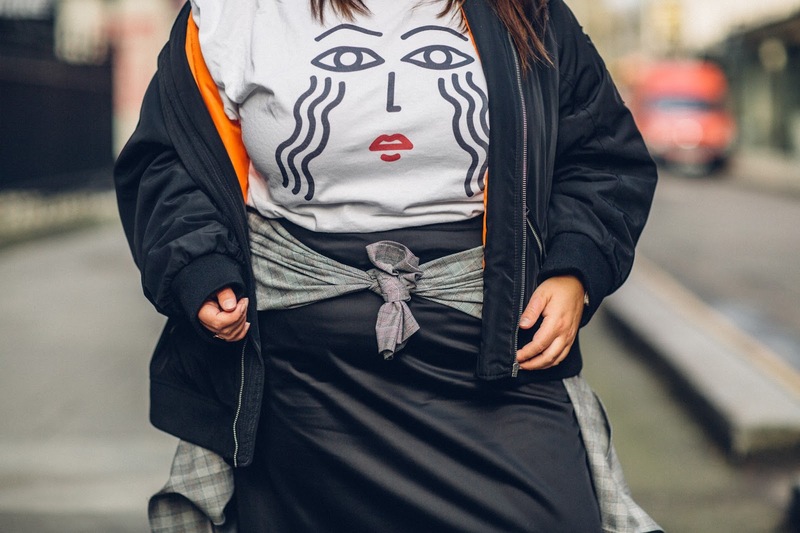 As a fashion obsessed girl, I love treating myself to new bits *maybe a little too often* and I make no secrets of the fact I am forever grateful that brands and PR's send me items but I don't wear a new outfit everyday of the week and I think it's important to make you all aware of that. 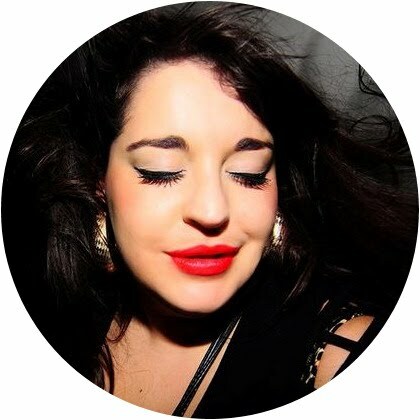 I also make sure that what ever I wear here on my blog, is an outfit I would actually wear whilst being out and about. 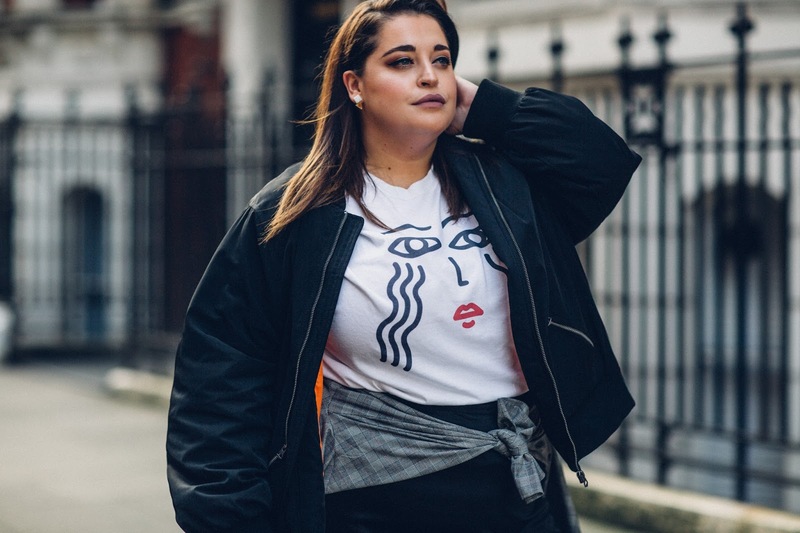 It seems ridiculous for me to have to say that, but I feel that some bloggers just post outfits for the sake of getting attention/likes/retweets and it doesn't feel authentic. 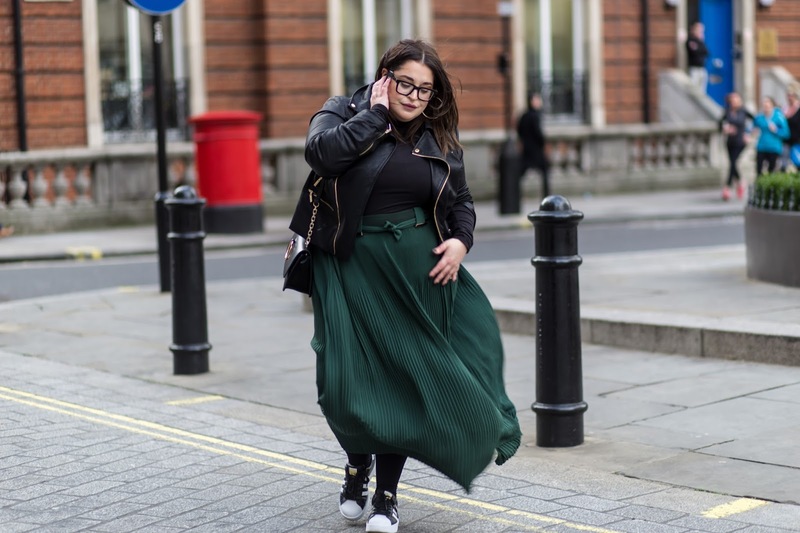 I like to follow bloggers/influencers that you can tell actually live in their clothes and that they haven't removed 5 mins after their photographer has shot them. 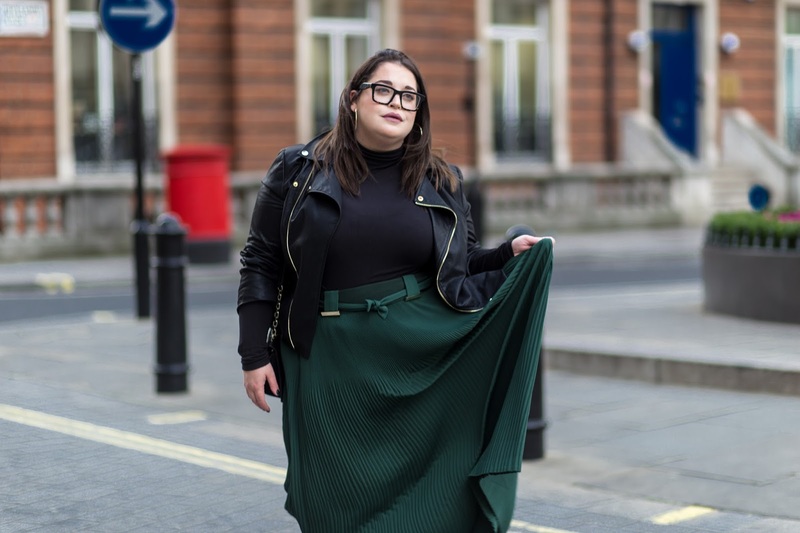 We all have wardrobe staples such as roll necks, jeans, shirts, leather jackets and trainers and I for one live in my staples. They are those fail safe items that you can rely on day in, day out. 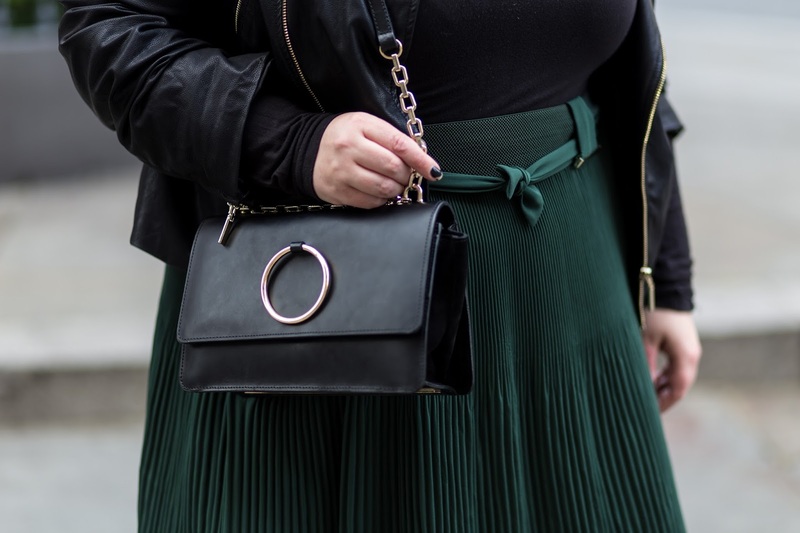 Wardrobe staples don't have to be boring though, just because you live in these items; it doesn't mean they have to be drab or frumpy! 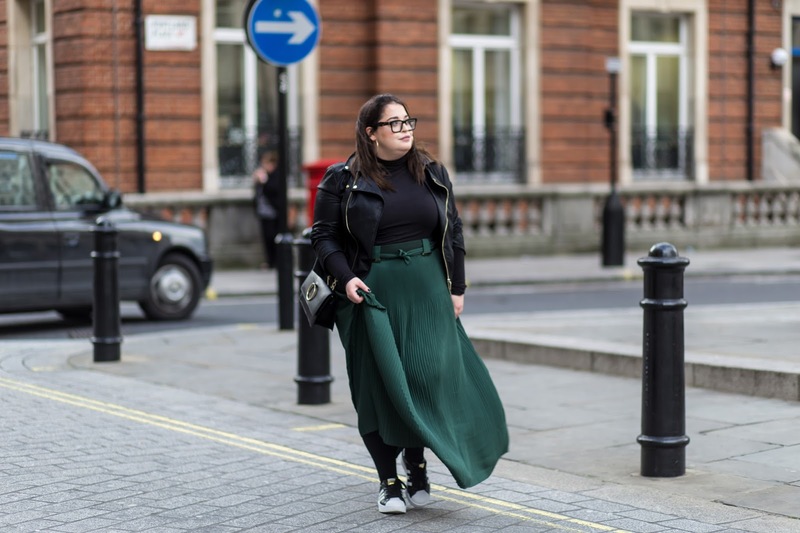 One of my go to outfits this AW is this Maxi Skirt, Roll Neck, Leather Jacket and Trainer combo. If you follow me on social media I am sure you will have noticed that I wear this outfit to death! Well, here it is in all its glory and I hope you enjoy!